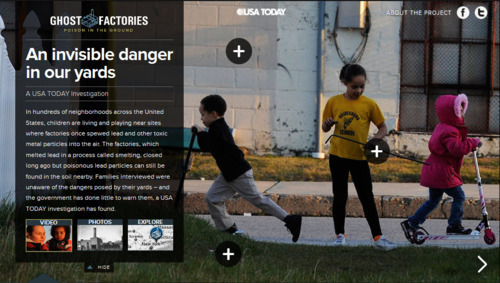 Neat new interactive feature from USA Today: Ghost Factories. It’s an investigation of old smelting factory sites across the USA. I’m impressed by the investigation, the map, and even with how after you click on an individual site, you can tweet or Facebook it to your followers.